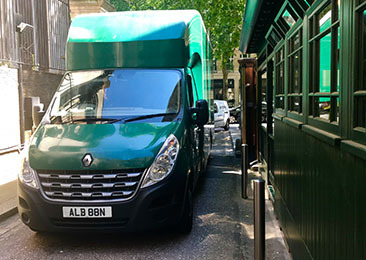 No matter the size , wherever the destination, we have vehicles in London daily, throughout the UK weekly and schedule a regular European own-van service. We also offer all the other worldwide shipping services you expect from a specialist carrier. Since Alban Shipping was established in 1991, we have packed and transported hundreds of thousands of valuable items across the UK and the world. Browse our website to discover how we can provide specialist help for your business. We've been providing specialist packing and logistics support for antique dealers, auction houses and collectors for 30 years. Alban Shipping is a name you can trust with the care and security of your valuable items. We offer a full transportation and shipping service across the UK and Europe. As well as being in London daily, Alban Shipping visit all UK regional locations at least every 7-10 days, using our own vehicles and with our experienced art handlers on every route. We offer speed and flexibility, whether your buyers want items collected promptly and delivered on the same vehicle run, or whether they need free storage and consolidation of items before we ship to destinations worldwide. Clients with many and varied needs trust Alban Shipping when bespoke export case making and packing services are required. From one-off ISPM 15 wooden shipping crates and cases, through to specialised packing, we have solutions for all export packing needs. 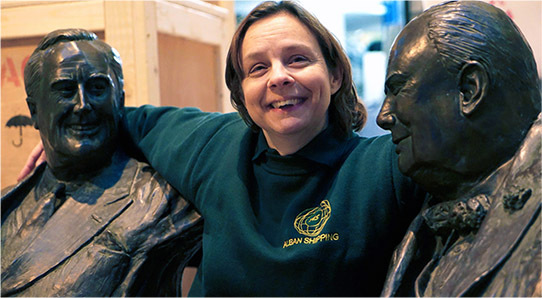 When it comes to transporting or shipping antiques, collectables and fine art across the UK and the world, Alban Shipping offers the most comprehensive service available. 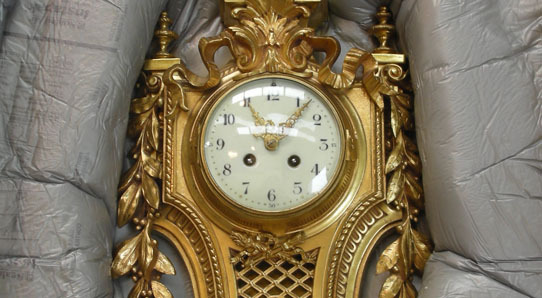 We offer a daily collection and delivery service for auction houses and dealers in the UK, and a weekly European schedule. As well as a range of logistics and relocation services, our clients enjoy the convenience of extensive secure industrial storage units just off the M1 motorway in Bedfordshire. 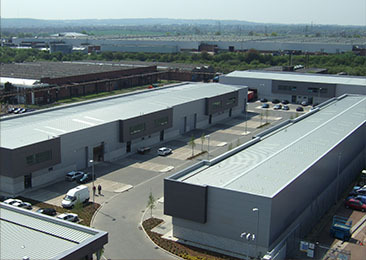 Long or short term, we have a storage solution perfect for your company's needs. Call us now on 01582 493099 for details. Our packing skills were on full display at London's 2018 Spring 'The Other Art Fair', where we provided customers with a full (and free!) 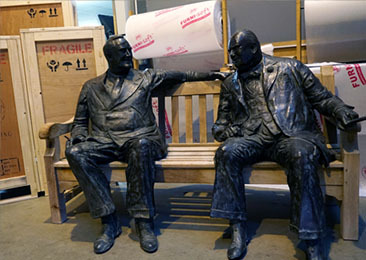 packing service to ensure their recent purchases made it home in perfect condition. We thoroughly enjoyed the experience, making lots of new friends on the day and capturing the event on video.